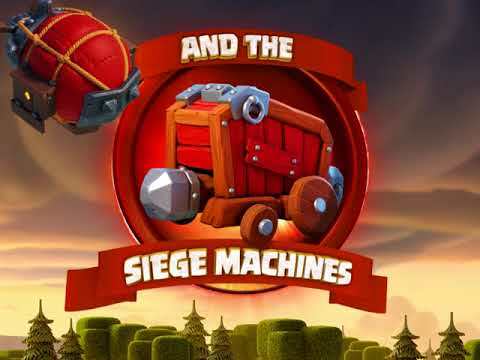 Clash of Clans is a Free-to-play, mobile Strategy game developed by Supercell. From rage-­filled Barbarians with glorious mustaches to pyromaniac wizards, raise your own army and lead your clan to victory. Build your village to fend off raiders, battle against millions of players worldwide, and forge a powerful clan with others to destroy enemy clans. Clash of Clans is a F2P, Strategy game for mobile devices. It’s an isometric 2D village builder and strategy hybrid with a massive community and consistent popularity. Players accumulate gold, elixir, and dark elixir to construct a kingdom with the ultimate goal of training increasingly powerful troops to attack and raid in the single player campaign or PvP. Defending one’s kingdom is equally important and players must plan accordingly with walls, cannons, bombs and more. Upgrade your mines to increase your flow of resources and unlock 18 types of warriors and heroes through the 4 tier troop system. Finally join a Clan, combine forces, and take your battle to the global leader-board and make a name for yourself in PvP.